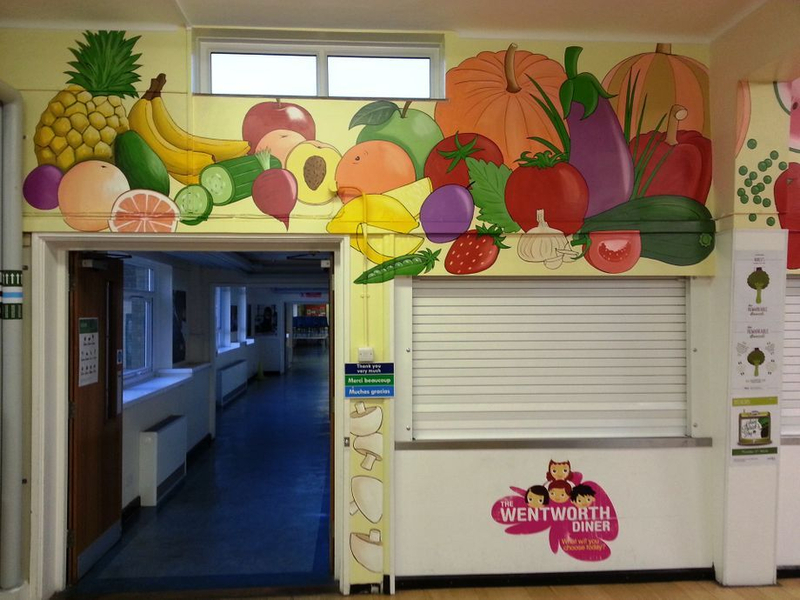 In Wentworth Primary School we brightened up their canteen with a bold fruit and vegetable themed mural around their serving hatch. 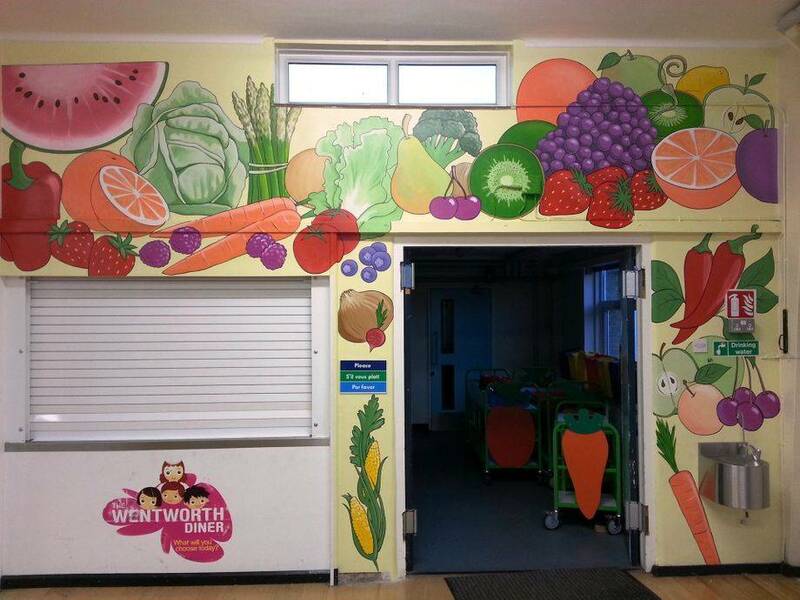 Murals like this are very popular as they make the dining area fun as well as promote healthy eating. 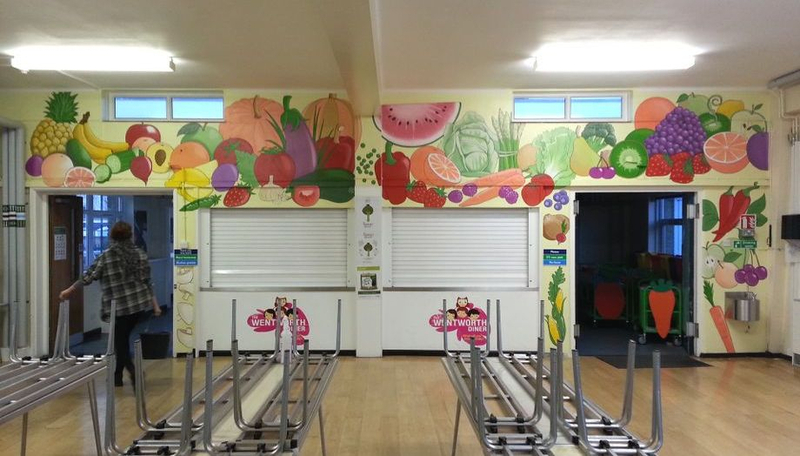 This mural took us four days to complete.